3 2 Yes, attached garage. 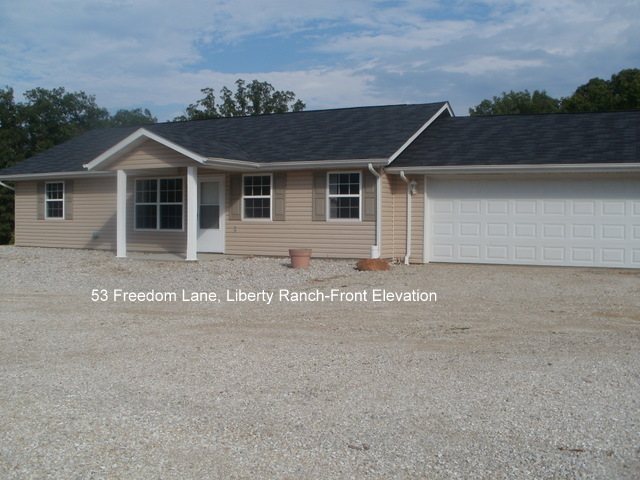 HOME FOR LEASE AT LIBERTY RANCH (unincorporated Miller County- School of the Osage School District) This is the 3 bedroom 2 bath home Located in our Liberty Ranch Subdivision. The subdivision is located within the Osage School district, just off Hwy 54 at Cave Drive in unincorporated Miller County. It is only 10 minutes from the water's edge of Lake of the Ozarks and close to shopping, medical offices, etc. Liberty Ranch is 30 minutes to Jefferson City. This particular home features two full baths. Both bathrooms have ceramic tile floors (as do the kitchen, laundry room, dining room, and entry walkways). The kitchen has a full size refrigerator with an ice maker, full size electric self-cleaning oven, under cabinet microwave oven, and under counter dishwasher. You will find our neighborhood to be not only convenient to everything but very quiet "family and retiree friendly". Most of the homes are privately owned. We have school teachers, engineers, computer tech people, restaurant managers, hospital workers, retail managers, retired military, and the like. There is excellent street lighting, underground utilities, snow removal service in the winter months and maintenance available 24/7. This home features a large fully finished attached 2-car garage and fenced backyard. There are no neighbors on 2 sides. The home is about 11 years old. It is all electric-NO GAS. Rent includes water & sewer as well as street maintenance, street lighting, snow removal and landscape service. We also provide filters for both your HVAC system (heat & air), and your whole house water filtration system. We have delicious ice cold well water and excellent water pressure. You will need to add salt pellets to your water softener that is located in the utility closet in the garage. The fully finished, insulated, and dry-walled garage, is 'oversized' (24' x 24') leaving you loads of extra room for storage as well as a window, back door to your backyard, and side door into your laundry room and kitchen. . This home leases (minimum of one year) for $875.00 ($50 of which goes to the POA for water, sewer, street maintenance, etc.) plus a Security Deposit of $875.00. No pet deposit. No last month's rent. Lastly, you need to know that the subdivision has good, well maintained gravel roads. You have about a 1/2 mile of gravel road from the highway to Liberty Ranch Rd. and then another 1 short block to the house. Television is available via satellite only and internet is available through either satellite, broadband, or a "cell phone WIFI hot spot". There is NO Charter Cable internet as yet at Liberty Ranch although AT&T is promising high speed internet through their phone lines soon. You will be responsible for your electric and a trash can. Mail is delivered daily around 10:30 AM to your mailbox on the Liberty Ranch mailbox rail.